Cuddle Up for the long Valentine’s weekend with your sweetie at a cozy cabin in the North Georgia Mountains! It’s not too late to score serious brownie points by surprising that special someone with a romantic retreat, and throw in one of our many concierge extras to take your trip to the next level. Flowers & wine, chocolate covered strawberries waiting for you upon arrival, a refrigerator stocked with groceries, in-cabin couples massage, or a winery tour—the possibilities are endless. Mountain bikers- 35+ miles stretch before you winding through the rolling hills, twists and turns making up the Ocoee trails in Ducktown, TN. Forest service roads provide a scenic and challenging backdrop, one so special that it has been the home of the Cohutta 100 Mountain Bike Race, beaconing adventurers and thrill seekers from across the nation. 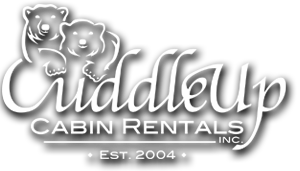 Cuddle Up Cabins offers the closest luxury cabins to this event, which begins on the Brush Creek trail on Saturday April 25, 2015. Call in to speak with a helpful booking agent or go online for the latest availability. Special newsletter codes have been set up at select cabins for the Cohutta racers and spectators. If you are looking to stay more than 2 nights use the code CUCRCOHUTTA to get a free night, or if you can only sneak away for 2 nights use the code CUCRRACE to get 15% off the cabin nightly rate! There’s No Place Like a Mountain Home…. The secret is out! The rental market in the North Georgia Mountains is booming, and continues to grow exponentially each year. People are looking for a mountain experience that is a shorter commute than the Smokies, and much less crowded than the packed Pigeon Forge and Gatlinburg strip. With the beauty of the mountains highlighted by the chance for outdoor adventure & activity, the growth of quaint & charming shops, and eclectic dining options in historic downtown Blue Ridge it is no surprise that our area sees so many return visitors! And owning your own little piece of this mountain heaven isn’t just wishful thinking! The real estate market has rebounded, with plenty of cabins available in all shapes & sizes and in all natural settings—perfectly suited to be your special mountain retreat as well as a successful investment property. 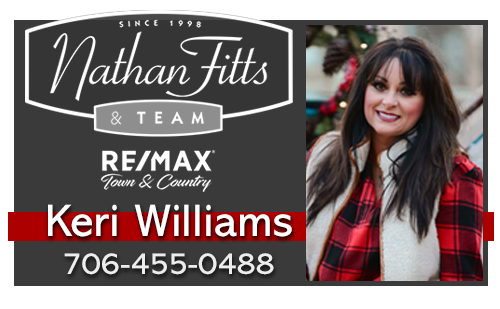 Cuddle Up Cabin Rentals and Country Corners Realty is your one stop shop to find, purchase, and find a property manager you can trust for your mountain home. Our agents are licensed in GA, TN, and even NC, which means you have the best of the tri-state market at your fingertips and with the addition of the new Harrah’s Casino coming to Murphy NC later in 2015 the rental market will expand again as people begin to look for cabins where then can enjoy the attractions of Blue Ridge and the casino only 32 minutes away!